Billy Dee Williams is a man familiar with losing out on iconic parts. In 1989, Williams famously played Harvey Dent in Tim Burton’s first Batman movie, on the assumption that it would lead to a role as the villainous Two-Face somewhere down the line. Instead, when the franchise finally got around to the character (after a detour into Penguin-land for Batman Returns), Tommy Lee Jones took on the bifurcated role. 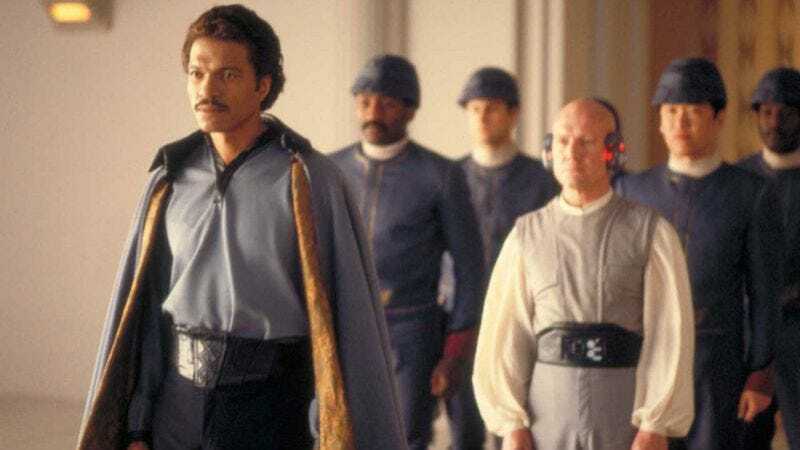 Now, the actor is watching as Donald Glover takes over the part of Lando Calrissian, the smooth-talking space pirate that has been a core part of Williams’ public identity for the past 30 years, in the upcoming Han Solo. Needless to say, he’s feeling ambivalent about the change.